Developing an application for a gas sensor requires a unique blend of electronic and mechanical knowledge, as well as theoretical and practical know-how of the chemistry and behavior of gases. That is what we do. Challenge us to solve your product design, testing, and application problems. Model 1010 Precision Gas Diluter - delivers precise dilutions of test gases at the turn of a dial or under computer control. More stable than a rotameter and more reliable than a mass flow controller. ...are always being updated. Find them here. Model 1402 Potentiostat - specifically designed for use with electrochemical and chemiresistive sensors, and emphasizing low cost. 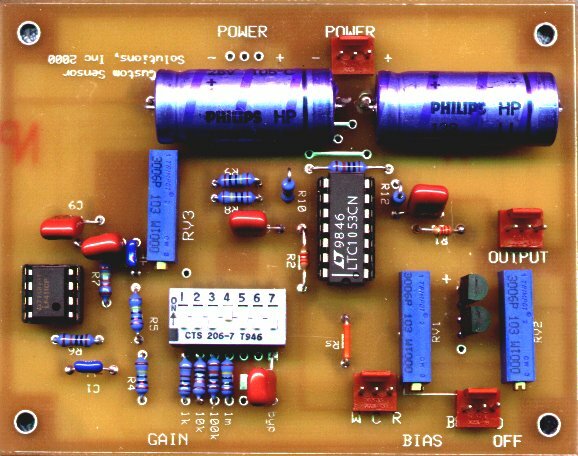 Uses Model 1401 Power Supply. Accessory: Model 1403 Constant Current Source. These unique devices are adaptable to many different applications in the laboratory or even small-scale production. They can be customized for most applications within their range for a fixed price.